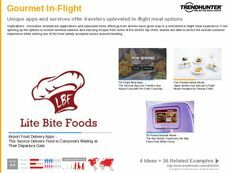 Find Better Ideas, Faster ® with a custom airport trend report, our PRO Dashboard and 80+ categories of premium trend reports. 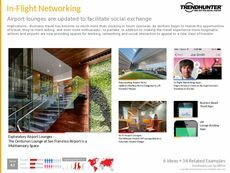 The Airport Trend Report weaves through a series of airport trends that span various industries. 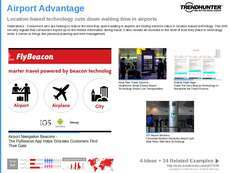 Trends in this report look at everything from design and architecture, tech innovations, food services and any additional features an airport may offer. Travel has undergone a massive shift towards convenience and inter-connectedness, creating the perfect case study for our data-driven research project. This report is ideal for individuals working for airlines who wish to mimic many of the convenience-oriented features of an airport and recreate them within aircrafts. 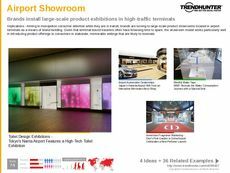 Furthermore, architects, engineers, interior designers and industrial designers can all benefit from our collection of the newest and most innovative airport trends. 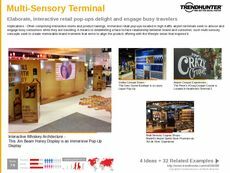 The Airport Trend Report provides incredibly valuable insight on the ever-changing landscape of airports, providing both ideas and templates for your brand's future enterprises.